I received all these lovely items as gifts from my lovely sister for christmas (ill leave her link at the bottom). Ive always loved these initial print products and had my eye on some for a while now so i was so happy to receive them. I think all of these would make an amazing gift for anyone and adds that extra personalised touch which everyone loves! Thinking of it these might make a lovely mothers day gift which will approach sooner than you think! 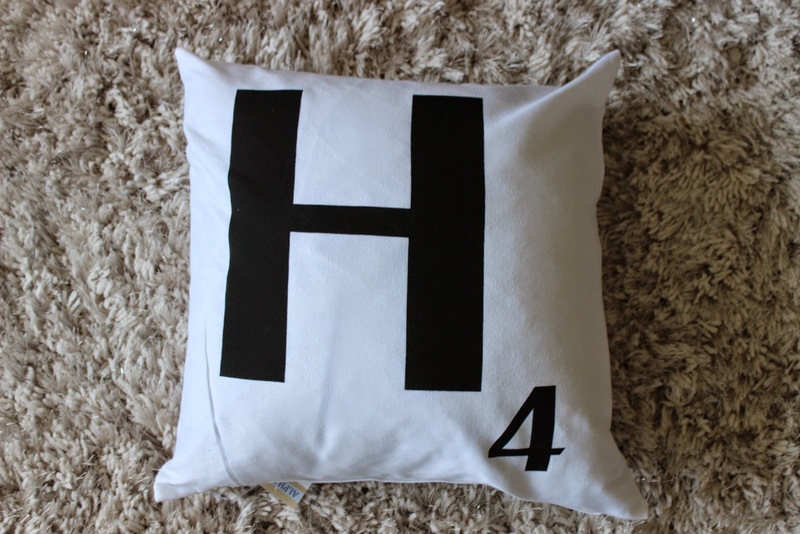 Firstly the pillow, i love this so much i think there a cute personal touch to any bedroom and would make it look so cute and £5 i think this is such an amazing price. These initialised candles are so cute and who doesn't love candles! These i must admit burn pretty fast but what would you expect from a little candle like this but priced at £4 i think these would look cute anywhere around the house also i must admit there isn't so much as a fragrance from this candle it just smells nice and fresh and relaxing. Lastly is my favourite the mug, this is available from anthropology and are £6, which i was pretty surprised about as i was expecting them to be a lot more but i just love the detail on this mug like the handle and the bottom of this mug, the extra details always make a difference. 6 comments on "Alphabet Accesories"
aww my lovely sister says your welcome! :) i wish i would of bought the candle for myself! They look great! I love the mug! I have one from paperchase. My first post this year and in 2 months!